Happy National Dog Day! 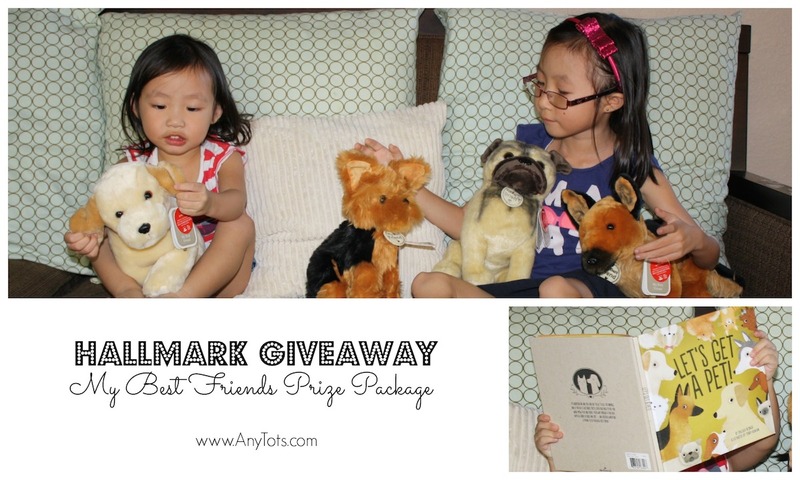 To celebrate, we are giving away 4 furry friends and a book by Hallmark. They were created by Hallmark in partnership with Best Friends Animal Society, read up below for more details about the partnership and join our giveaway for a chance to win the package. Truth be told, I’m very scared of most furry pets. The friendlier it is, the more scared I get. Luckily, the kids are not and we are doing our best to make sure they are accustomed to being near them. Big sis’ is asking for a cat, while the lil’ one wants a dog. Until I get over my fear though and they get a little older – enough to take care of them, we’d have to wait a little bit more. 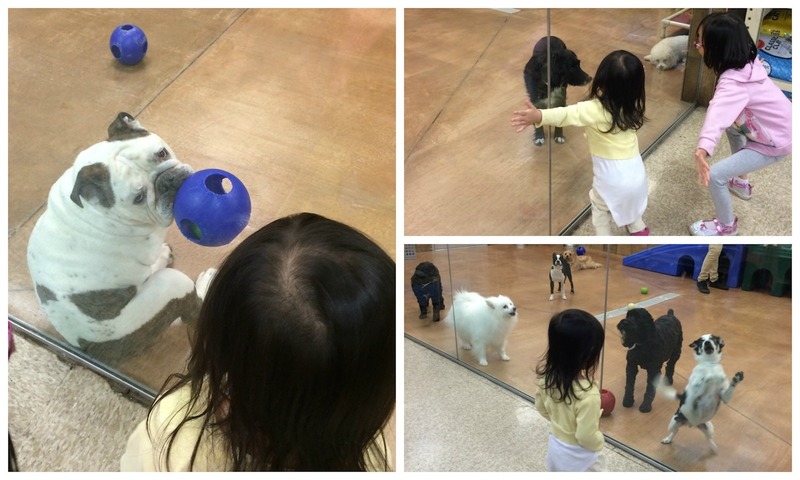 We also visit the pet store a lot and take the kids to petting zoos. And I try my very best to fight my fear and join them even if my legs shake from nervousness. For now, I can enjoy playing with dogs when there’s a glass in between us. How sad is that. Hopefully I can get over this fear sooner. Not being able to get near them doesn’t mean I don’t like them though. 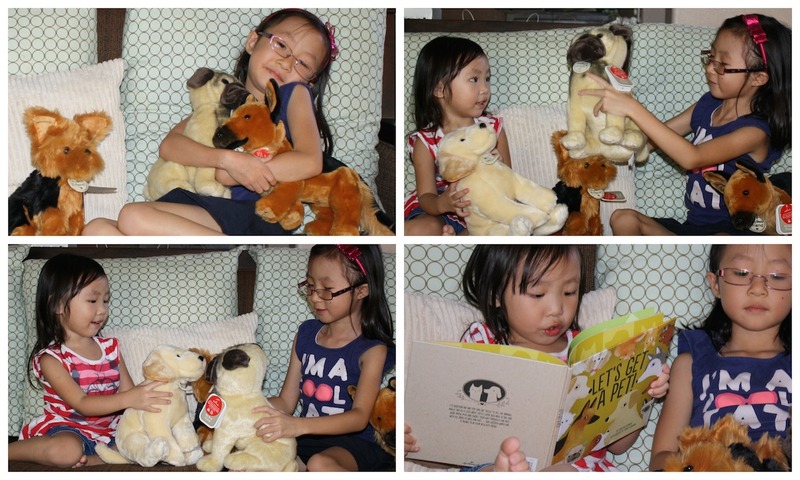 And I feel that every pet should find a loving home that’s why I’ve partnered with Hallmark to bring you this giveaway where one of our lucky readers will get to win 4 plush and a book. These plush were created in celebration of Hallmark Gold Crown’s partnership with Best Friends Animal Society to help homeless pets find loving homes. Available from Hallmark – online and in stores on September 1, these furry friends are currently keeping the kids busy. When they arrived, I asked big sis’ to name them. She named them Scoldy, Orange, Cutie, and before she could name the 4th one, I asked the toddler to name the last one. She thought very hard, really really hard, then she said – Dog! LOL!!! These stuffed animals are really cute. My favorite is the terrier, while big sis’ loved the Wrinkly Toy Dog and lil sis’ is adamant that we don’t take her Golden Dog away from her. We can all do our part to help find homes to homeless pets by either adopting or if you’re not ready just like me – purchase one or a few of these plush toys as Hallmark and Best Friends Animal Society are teaming up in a partnership to find loving homes to 2,000 shelter pets over the next two years plus a $100,000 will be donated by Hallmark to Best Friends Animal Society. You can also get the book. Little sis’ would no longer sleep without me reading to her a few books every night. And she is enjoying the book since we got it, part of her night time routine. For more information about Hallmark’s support for Best Friends Animal Society, check here. To see more of Hallmark’s My Best Friends products, check here. They come in 2 sizes. The ones we have are the bigger ones. To join, simply follow the prompts on the Rafflecopter below. Winner will be chosen by Incredibundles. Name will be listed on the rafflecopter box below. Brown and Black Service Dog Stuffed Animal: Known for his strength, intelligence and trainability, this service dog is the preferred breed for police and military functions, as well as family protector. Devoted Golden Dog Stuffed Animal: As a trainable, gentle dog, this adorable golden pup also gets major points for being friendly, playful, loyal and cute. Wrinkly Toy Dog Stuffed Animal: With an adorably wrinkled mug, muscled body and curly tail, this captivating puppy is ready to become man’s best stuffed friend. Long-haired Terrier Stuffed Animal: Light as a feather, this long-haired pup can fit easily in your bag or crook of your arm, making it the perfect grab-and-go companion. Let’s Get A Pet! Storybook: Meet some sweet four-legged friends who are waiting for the most special gift ever—a new home! This storybook takes a playful tour through the most popular dog and cat breeds and includes a space at the end for readers to record which pet they chose and what name they’d like to give their new four-legged friend. Follow us on Facebook to stay up to date with all our post. Check our other giveaways as well and Follow us on Instagram for live stories.